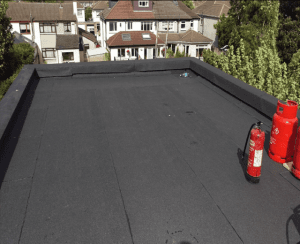 Our certified experienced and fully trained roofers can replace old flat roofs with the highest quality materials, also providing a guarantee on all new work completed. We can also repair and weatherproof existing flat roofs to ensure that you have a leak free roof. We check for rotten timbers, damp etc. and can advise you on the best possible solution to solve any roofing problems you may have. Ask one of their fully trained contractors to supply and fit all the roofing systems. All work is guaranteed and insured from fully certified and experienced tradesmen Tipperary and Clare. We have built a reputation of excellence with years of experience in Roofs, Natural Slate, Tiling, Latting and Felting, Re-roofing & Flat Roof Repairs Tipperary and Clare.